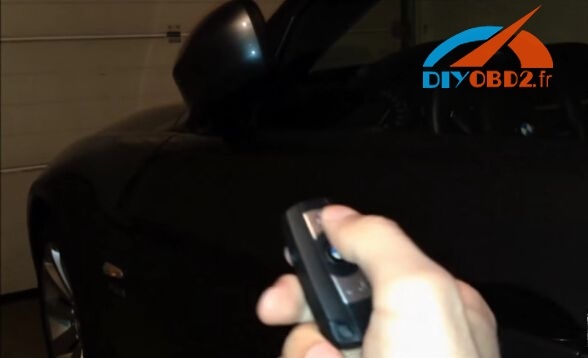 Isn’t it cool to control the mirror fold by pressing your remote key? 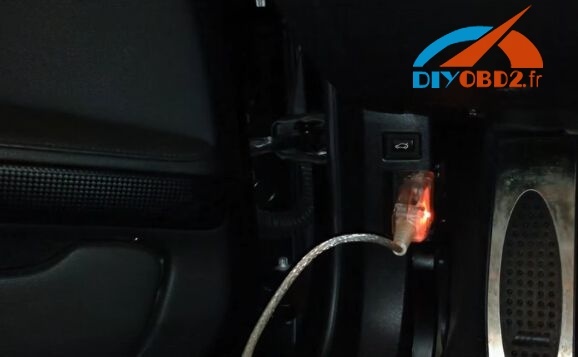 Here share with you a detailed tutorial: How to activate BMW folding mirrors function using BMW K DCAN Cable and NCX Expert? 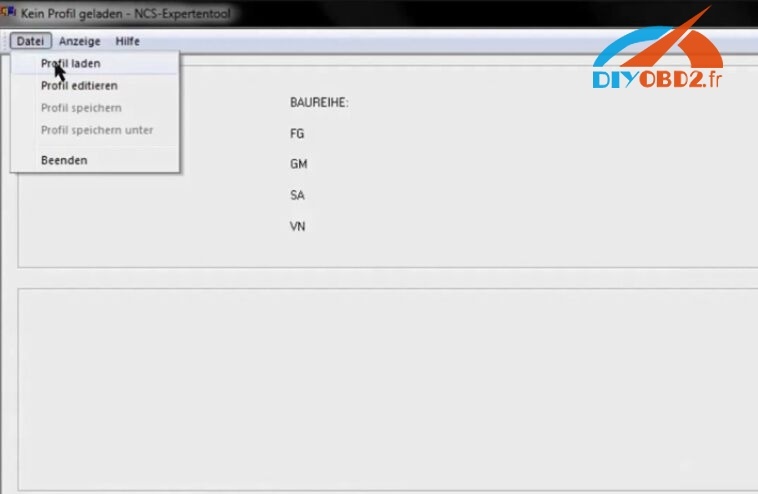 Step 1: Plug the BMW K+DCAN USB Cable into car OBD2 port to connect car with BMW NCX Expert software. 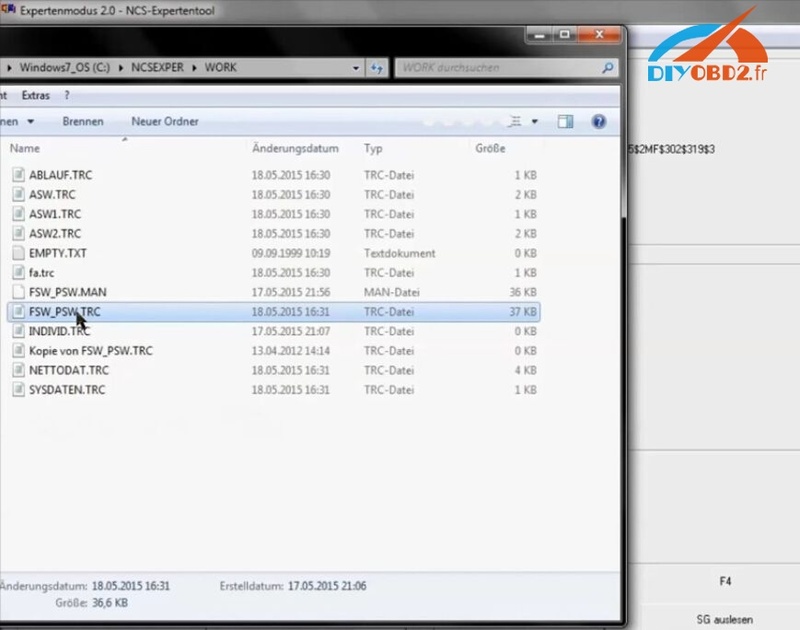 Open NCX Expert, click “Profile Load” and choose “Expertmode 2.0”. Click F6 button to back. 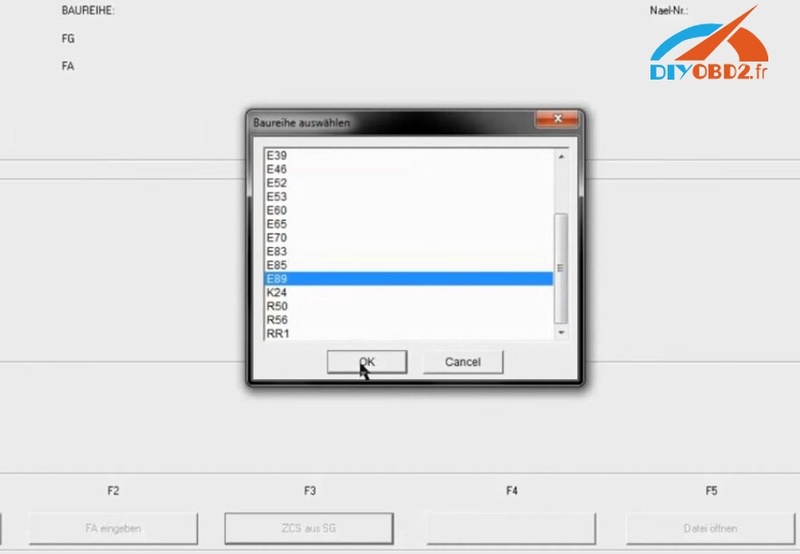 Click F4 button to select the module “NFRM”. 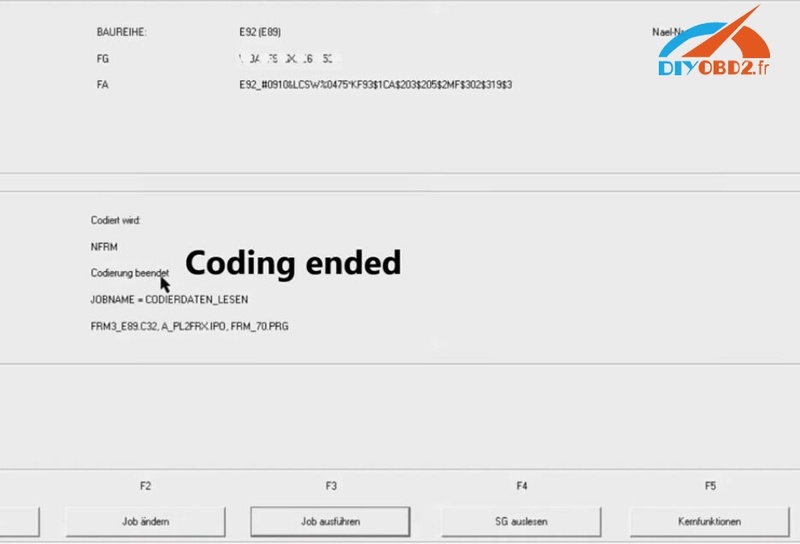 Step 3: Click F2 to change job and select “CODIERDATEN LESEN” option which means “Read coding data”. 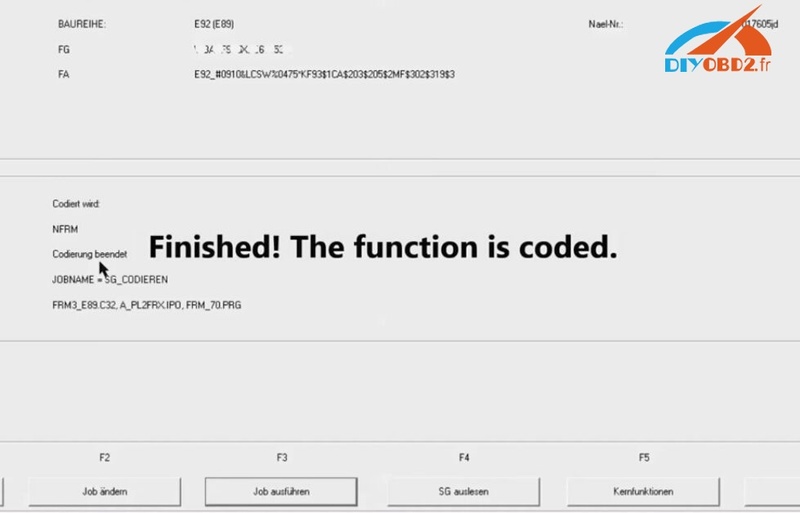 Click F3 button to execute job and wait until you can see “Codierung beendet” which means “Coding ended”. 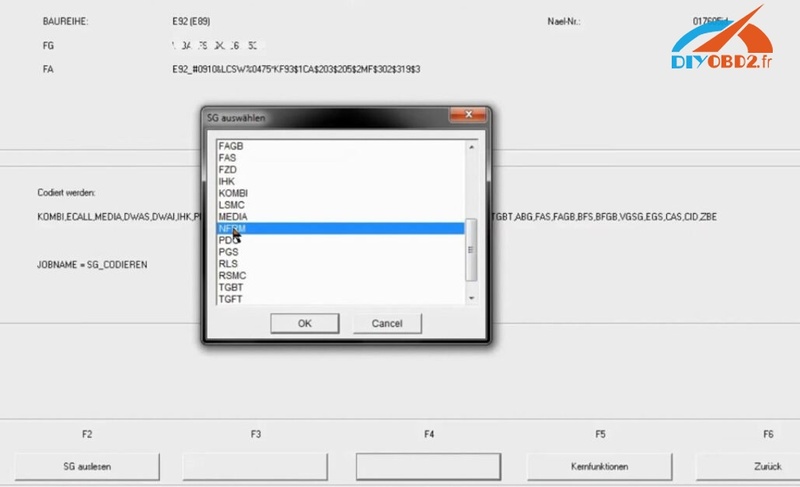 Step 4: Go to NCSEXPER/WORK folder and open “FSW_PSW.TRC”. Search “ASP_KOMFORT_EINKLAPP” or “SPIEGEL_ KOMFORT_EINKLAPP” according to your car model and year. In this case, it’s “ASP_KOMFORT_EINKLAPP”. 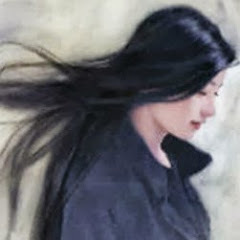 Change the value from “nicht_aktiv” to “aktiv” and save the change. 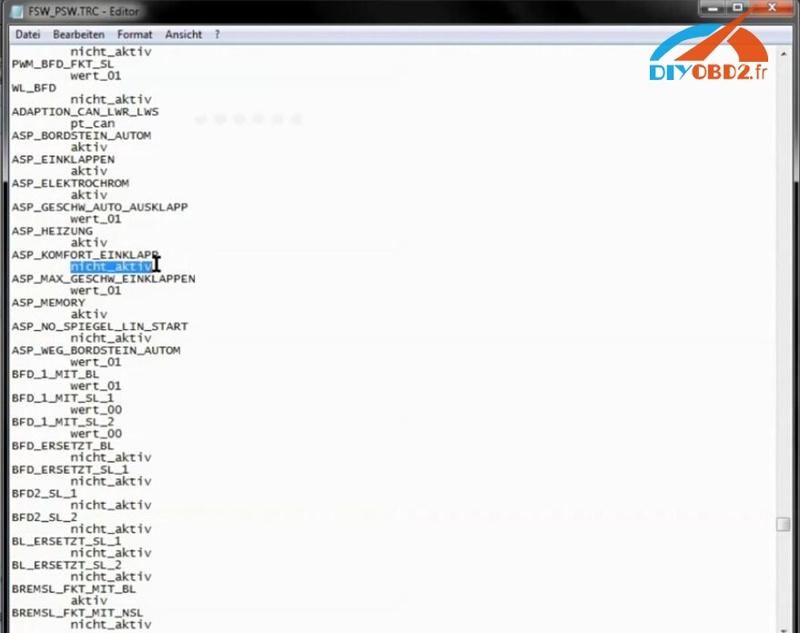 Step 5: Copy “FSW_PSW.TRC” and delete “FSW_PSW.MAN”. Rename the copy file as “FSW_PSW.MAN” then click “Yes”. Go back to click “File” and “Profile Editor”. It will require you to enter password. Enter “repexp”. 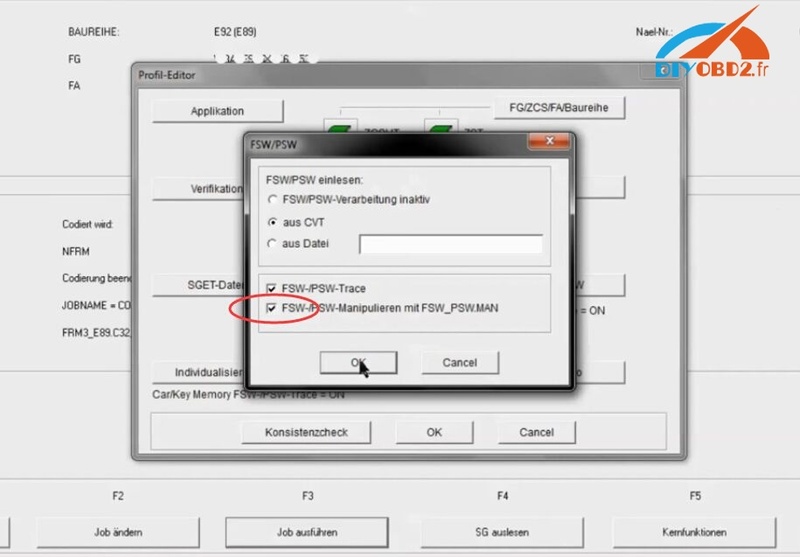 Click “FSW/PSW” button and remember to choose the “FSW/PSW Maniplate” option as below. 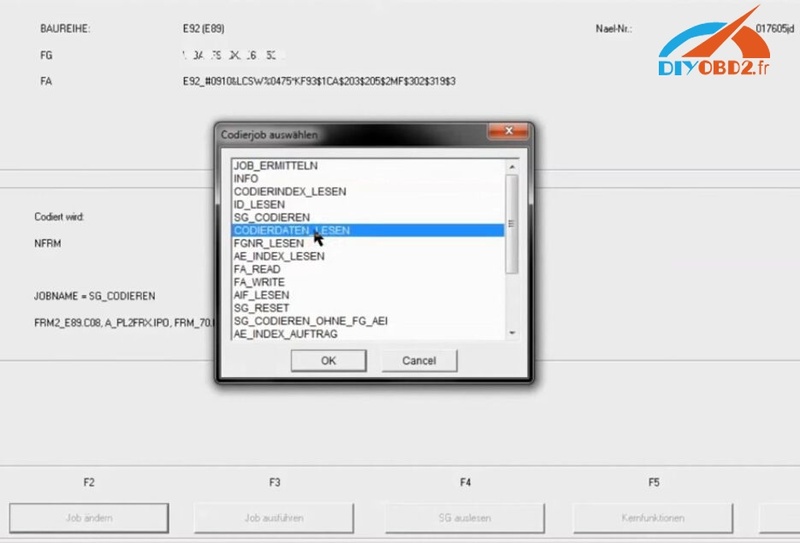 Wait until you can see “Codierung beendet” that means BMW Folding Mirror Coding finally complete by BMW INPA K+DCAN Cable and NCX Expert!